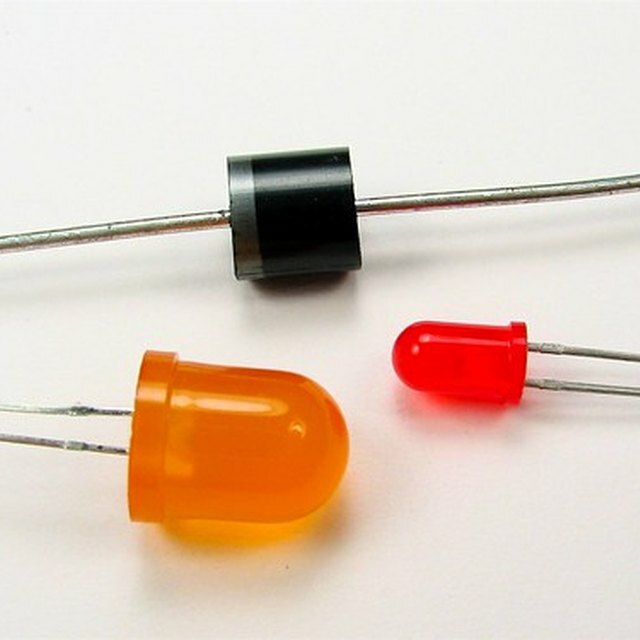 Diodes are semiconductor materials that behave like switches. They are open to electricity in one direction and short-circuited in the other, meaning that current is allowed to flow in only one direction. Silicon and germanium are two materials they are often made from. The symbol for a diode is an arrow to show the direction current flow is allowed. A diode placed in a circuit this way is known as forward-biased. 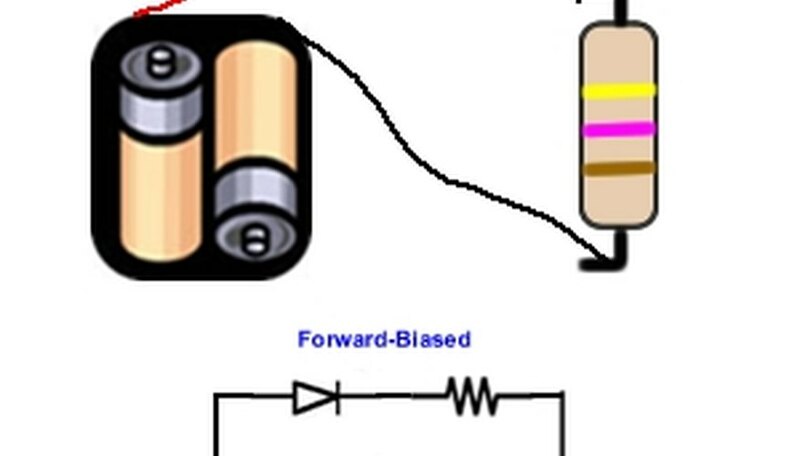 A diode with current flow in the wrong direction is called reverse-biased. Ordinary reverse-biased diodes will finally allow current when there is too much current flowing the wrong way. When this happens, they are destroyed. 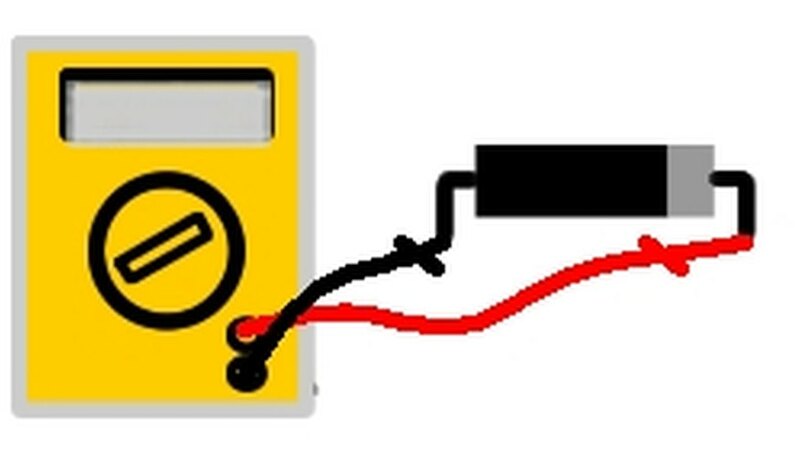 Measure the forward-biased voltage on the diode by placing the multimeter on the diode setting. Put the positive or red lead on the anode side of the diode, which is unmarked. Place the negative or black lead on the cathode side of the diode, which is marked by a stripe. An undamaged silicon diode will read 0.5 to 0.7 when it is forward-biased. 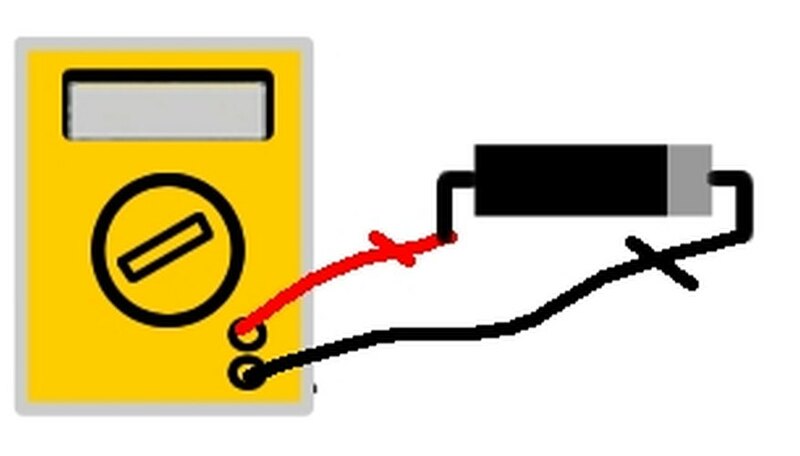 Measure the reverse-biased voltage on the diode by switching the multimeter probes. Place the positive or red lead on the marked or cathode side of the diode. Place the negative or black lead on the unmarked or anode side of the diode. You should get a reading indicating an overload or no current flow. Attach a 3- to 9-volt battery to the circuit board. Add a 330 ohm to 1k ohm or more resistor to the positive lead. Connect the anode side of the diode to the free end of the resistor and the other end to the negative terminal of the battery. Note that the diode is in series with the battery and resistor. Measure the voltage across the resistor by placing the multimeter on a low DC voltage setting, and by placing a lead across each side of the resistor. Calculate the current in the circuit using Ohm's Law I = V/R, where V is the voltage from the battery, I is the current, and R is the value of the resistor. This mathematical model assumes the diode is ideal and behaves like a switch, so that the load is only across the resistor. Measure the voltage across the diode. Note that the diode behaves like a 0.7 V battery. Diodes are very delicate. Never exceed the manufacturer's recommended currents in the forward- or reverse-biased directions. Always exercise caution when building electrical circuits to avoid burning yourself or damaging your equipment. Lewis, Kim. "How to Connect Diodes." Sciencing, https://sciencing.com/connect-diodes-5462387.html. 24 April 2017.